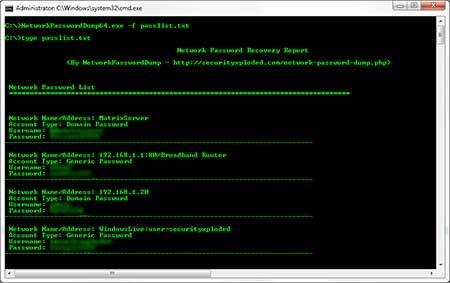 Network Password Dump is the command-line based free tool to instantly recover Network Passwords stored in the 'Credential Store' of Windows. Windows 'Credential Store' provides the framework for storing various network authentication based passwords in secure encrypted format. It is not only used by Windows but also by other third party apps to store their credentials securely. This tool helps you to quickly and easily recover all these stored passwords. You can choose to dump the passwords to console or write to a file in text format. Being a command line based tool makes it ideal for penetration testers and forensic investigators. Network Password Dump is available in both 32-bit & 64-bit versions and works on all systems starting from Windows XP to new Windows 10 version. 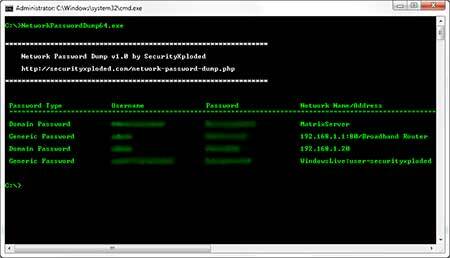 Network Password Dump is very easy to use tool. It is command-line/console based tool, hence you have to launch it from the command prompt (cmd.exe). 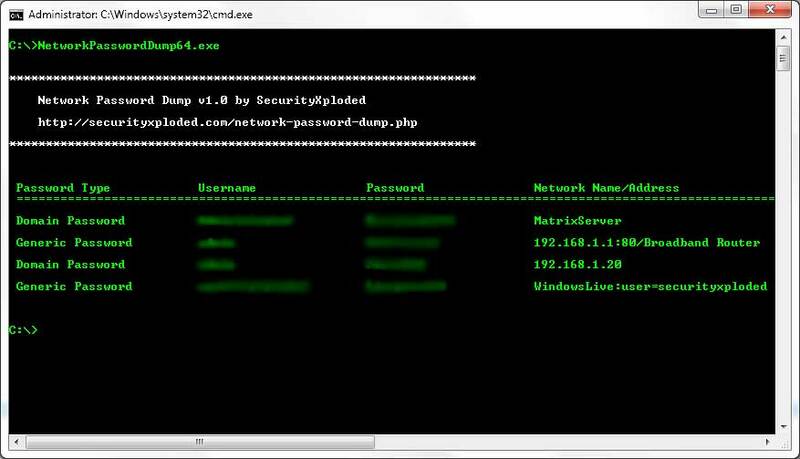 Screenshot 1: 'Network Password Dump' displaying all the recovered passwords to console. 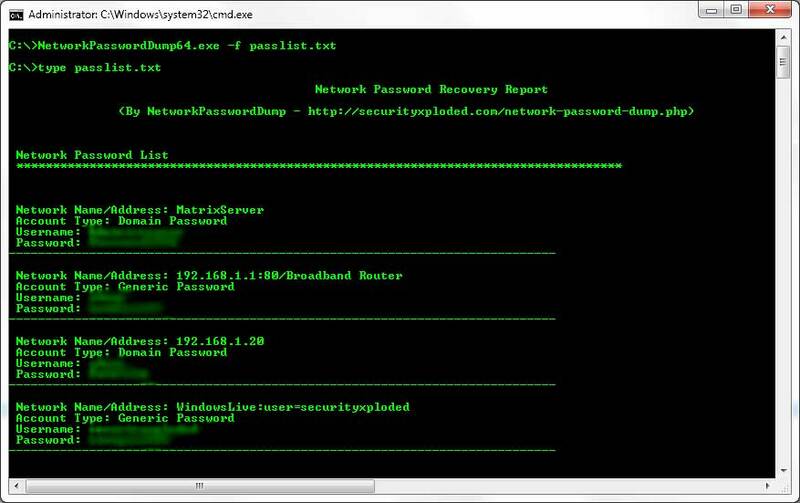 Screenshot 2: 'Network Password Dump' writing the recovered passwords to TEXT file. Major 2016 edition featuring new installer for quicker installation & un-installation. Mega release with support for new Windows 10 version. Added new feature to Installer to dynamically download latest version. Integrated Uninstaller into Add/Remove Programs, now you can uninstall it in a standard way. First public release of Network Password Dump.